​While Shohei Ohtani won't be on the mound in 2019, the ​Angels are working to get him back into the batter's box. The two-way Japanese sensation underwent Tommy John surgery in October and has been rehabbing his elbow since then. Manager Brad Ausmus has provided an update for Ohtani's return, and apparently doctors are pleased with his progress. He can face pitchers in about one week's time, though it is unclear at this point if he will play in a simulated game or go out on a minor-league rehab assignment. Ohtani's return would be great news for the Angels, as not only is he a solid hitter, but he is one of the most intriguing players in the sport, and that could result in an increase in ticket sales for the team. 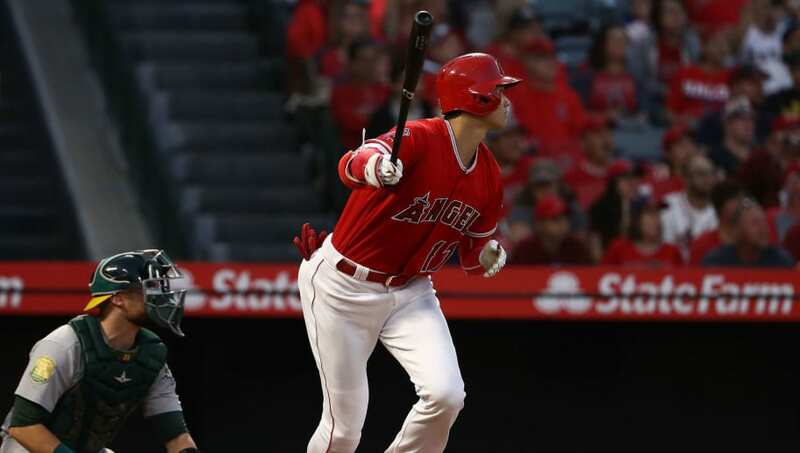 In 2018, Ohtani slashed .285/.361/.564 as the Angels' DH. He hit 22 homers and drove in 61 RBI across 326 at-bats, winning the ​AL Rookie of the Year award over Yankees' youngsters Miguel Andujar and Gleyber Torres. Angels not sure if he’ll face pitchers in a simulated game or if Ohtani will go on a minor league rehab assignment. In sim games he could get more at bats quicker. While Angels fans will have to wait until next season to catch a glimpse of the 24-year-old on the mound, it's encouraging to see the coveted star nearing a return to the batter's box.